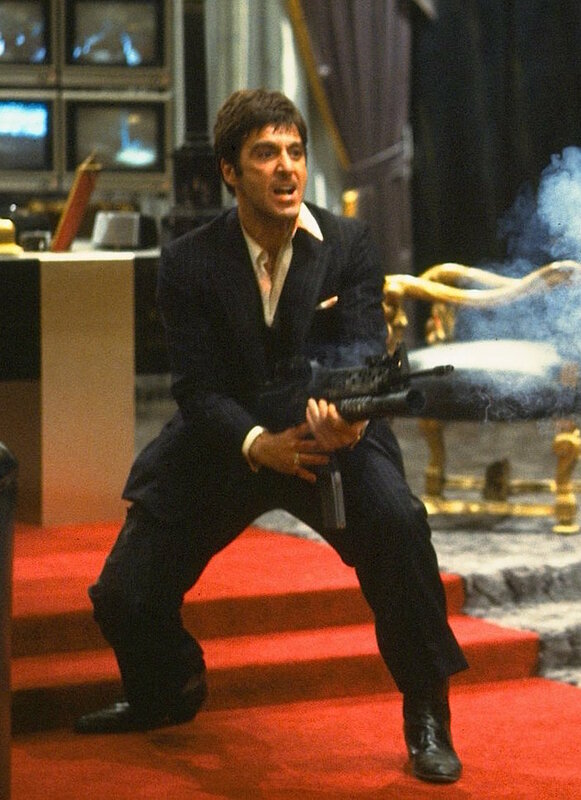 Brian de Palma’s 1983 drug epic Scarface celebrated its 35th anniversary yesterday. 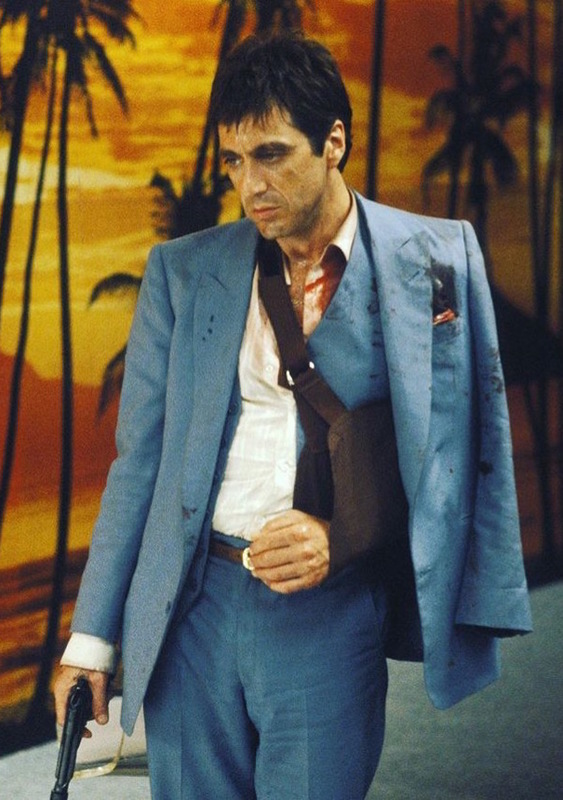 A remake of a 1932 gangster film that itself took inspiration from the life of Al Capone, Scarface met with negative critical reception at the time of its release though it was a box office hit and racked up Golden Globe nods for lead actors Al Pacino and Steven Bauer. Miami, Florida, was incorporated as a city 121 years ago today – July 28, 1896. Today’s post focuses on one of the city’s most infamous fictional residents. 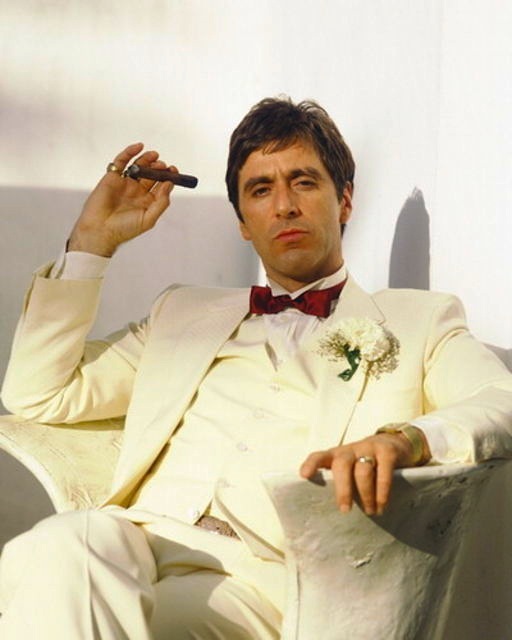 Al Pacino as Tony Montana in Scarface (1983). 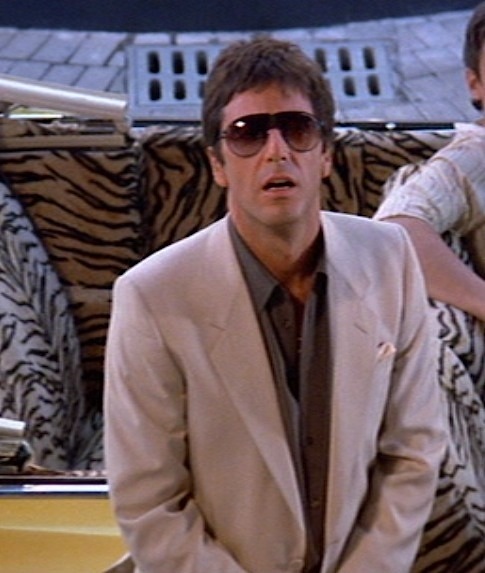 Al Pacino stands next to a bright ’63 Caddy convertible as Tony Montana in Scarface (1983). BAMF Style is continuing Car Week with the second grand American convertible from the automotive golden era – the 1963 Cadillac Series 62 owned by Tony Montana in 1983’s Scarface. Ironically, we first see this Caddy while Tony is actually shopping for a different luxury car, the silver 1979 Porsche 928 4.5L that he adds to his growing collection. It looks like somebody’s nightmare. 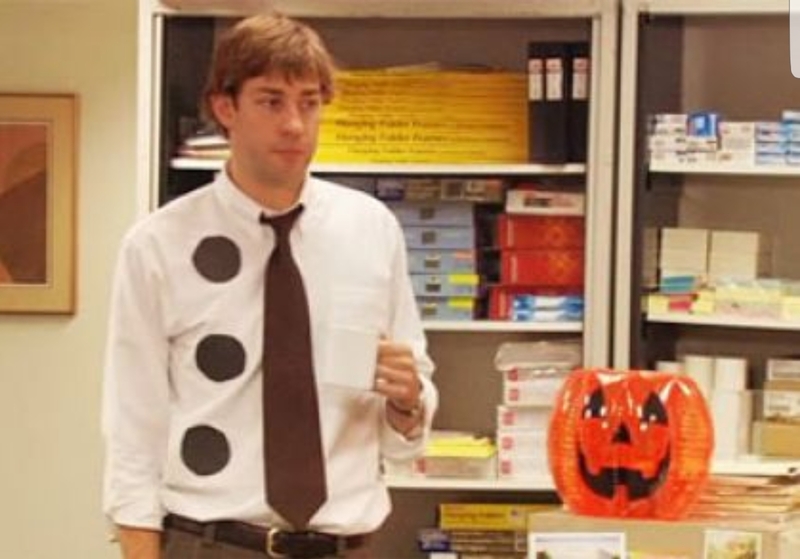 One of the few sartorial rules actually practiced in the United States is adherence to the “no white after Labor Day” rule. While it’s technically outdated, having been decided after the Civil War by snobbish housewives who wanted to establish their place in society, it makes sense that light-colored attire would find its place in the summer. 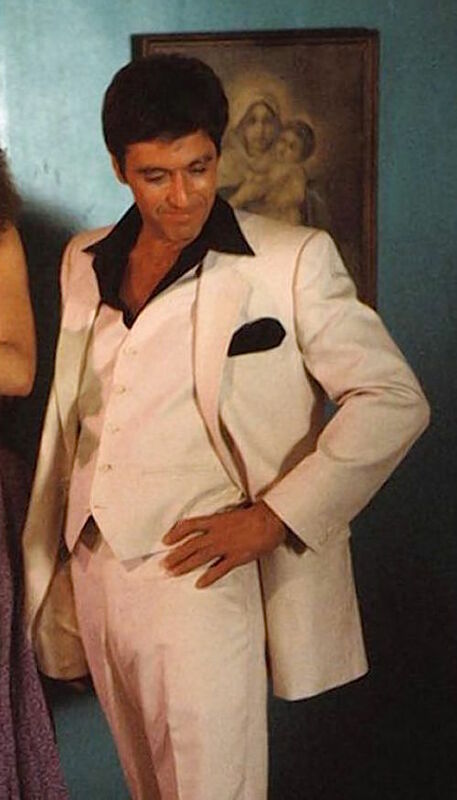 Further enhancing the arbitrary rule, the snobbish housewives’ society determined that Memorial Day would mark the first day for white clothing to be appropriate in polite society. To wrap up the week of weddings, BAMF Style presents the first post about a character who was an adaptation of a character who was based on the man who was likely behind the St. Valentine’s Day Massacre. So, yeah, logical choice for today once you wrap your brain around it.